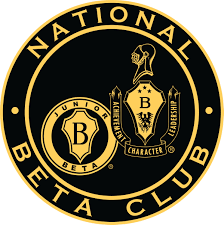 The National Beta Club is an organization for 4th through 12th grade students in the United States. Its purpose is “to promote the ideals of academic achievement, character, leadership and service among elementary and secondary school students”. Beta is an academic honors program with a strong emphasis on community service. Beta’s primary incentive is to educate the youth on important virtues such as gratitude for what we have, and giving back to the community. The club not only focuses on community service though, but it trains youth to become the next servant leaders, who start their own non-profits and go out of their ways to better the world. Beta Club is the prestigious volunteer association that accepts students who are recommended by their teachers and meet the 3.0 GPA requirement. However it’s awaited invitation doesn’t automatically signify your membership into the reputable club, students are required to volunteer for a total a certain number of hours throughout the year to receive a special Beta Graduation Cord.